Nepal Tibet Bhutan Tour with Pink Mountain Treks and Expedition introduces Himalayas culture, religion and nature in one single trip, the breathtaking flight over the Himalayas including Mt. Everest whisks you to the incomparable Himalayan countries. Another spectacular flight brings you to the tiny Himalayan Kingdom of Bhutan where you will feel time has moved back. Explore the pastoral back roads of Bhutan, a true bastion of tradition in an uncertain world, where you find an independent people who have not rejected their ancient spiritual heritage for modern ways. You’ll visit the Shangri-La setting of the Paro Valley, the central Bhutanese town of Punakha, with its huge, spectacular monastery set by the river, and the capital city of Thimphu. During Nepal Tibet Bhutan tour, Pink Mountain Treks and Expedition use expert local guides, private vehicles and convenient and authentic hotels. we try our best to make your visit as comfortable as possible. local ceremonies are happening everywhere, if you are interested please feel free to ask our guides and drivers to takes there. if you want to travel during the festival season, please ask us now, we provide you the list of festivals, our festivals are based on lunar calendar. Day 14:Chitwan/Kathmandu. (190 kms - 5 hrs drive). Day 1Arrival in Kathmandu International AirportArrival in Kathmandu International airport and meet with representative of Pink Mountain Treks and Expedition, then transfer to hotel. Day 2Kathmandu (1350m) sightseeing tour.Your Tibet visa will be processed today. Day 3Flight to Tibet LhasaOn arrival in Lhasa Gongar airport, Pink Mountain Treks and Expedition's Tibetan guide will welcome and take you to the hotel. Day 5Explore more areas in LhasaVisit Drepung monastery, Mentshikang (Tibetan medicine center) and Norbulingka palace. Day 6Optional Excursion to Yamdok-Tsho Lake outside LhasaAfter early breakfast drive to Yamdoktsho Lake. 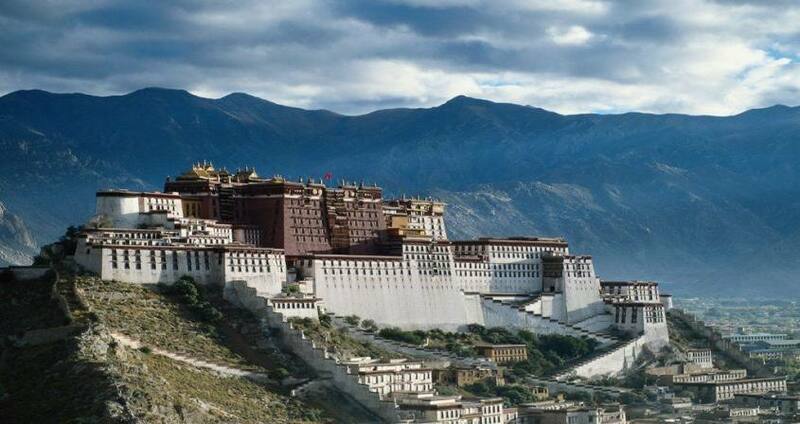 Get pleasure of the view and drive back to Lhasa in the evening. Day 10Thimphu to Punakha excursion- back to Thimpu (150 kilometers. )Punakha jong, bhutan tour afrer early morning breakfast, drive to famous Dochula Pass (3102 meters) where we get opportunity to enjoy the view of Himalayan range. Walk around 108 stupas and take some time for awesome pictures. Drive to Punakha Zong and if time permits, visit fertility temple through rice field terraces. Return to Thimpu for overnight stay. Day 11Thimphu to ParoAfter breakfast, drive back to Paro and Hike to Taktshang known as Tiger’s Nest. Day 12Paro/Kathmandu/ChitwanTransfer to airport for your fly to next destination or fly back to Kathmandu. Uppon arrival at Kathmandu meet by us and drive to Chitwan National Park (190 kms - 5 hrs drive). Day 13ChitwanFull day Jungle activities. Day 14Chitwan/Kathmandu. (190 kms - 5 hrs drive).After early jungle activities. Drive back to Kathmandu. Day 15Kathmandu/DepartureFree till departure, departure transfer to airport to connect onward flight.